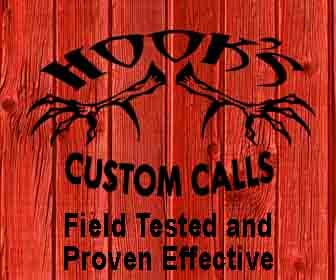 This time of year, we are often asked questions about where to place stands and blinds. I only have one rule about placing stands and blinds: the hunter must be able to approach, hunt, and exit without alerting deer! This means considering the wind and thermal direction during the time of day when a hunter will likely approach, hunt, and exit the stand. Notice I said “during the time of day.” This seems to be an often-overlooked consideration. First, I’ll define “thermals” to ensure we are on the same page: thermals are local wind currents caused by temperature differences. Cold air moves to lower elevations and warm air rises. Usually the steeper the topography the stronger the thermals. However, even in relatively flat country, thermal directions are often more important than wind direction, especially during the early morning and late afternoon. There are several stands and blinds at The Proving Grounds that are best hunted during either the morning or afternoon due to thermals – but not both. For example, there’s a stand where I tagged a doe and passed a buck we call HighRiser last fall. It’s located on the lower slope of a steep ridge. During a cool or cold morning, the thermals are moving downhill because the stand is mid slope. The stand is 20 yards down the slope from a very mature white oak. We approach this stand from the downhill side before daylight and tag deer from it every year. We keep from alerting deer by only hunting it during cool or cold mornings when the thermals will be flowing down the slope. Depending on the temperature and cloud cover, we usually need to exit this stand by 9:30 +- am. By then the air has usually warmed to a point it’s now flowing uphill – directly to the normal path of travel and food source for deer. We only hunt this stand during the mornings because during the afternoons it’s usually warm enough that the thermals are rising and we’d alert deer while approaching the stand. HighRiser, the buck I passed from this stand last year, is still alive and is now on our hit list. Because he wasn’t alerted from this stand last year there’s no need to believe he’ll avoid the area this fall! Hunting deer that have recently been alerted rarely results in success. 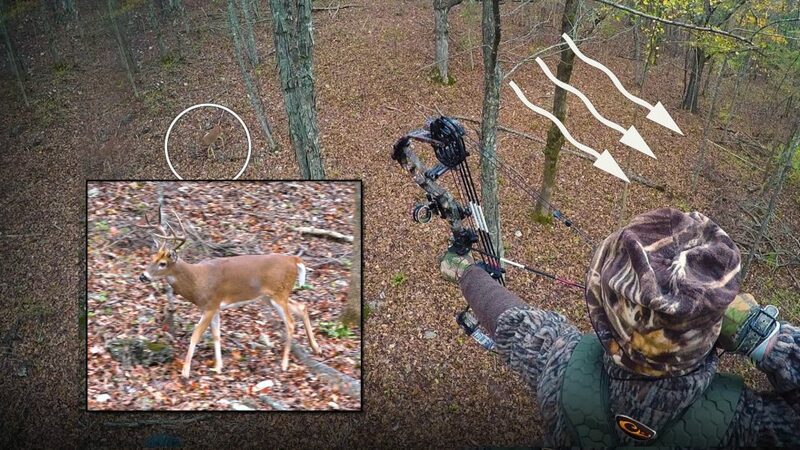 To avoid this, consider how to approach, hunt, and exit stands and blinds without alerting deer. If deer don’t know a predator (hunter) frequents the area, they tend to spend much more time there! As the opening of deer season draws closer, many hunters are in the midst of pre-season scouting. 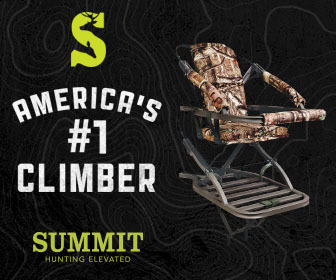 Great hunts begin long before climbing into the stand. Scouting and planning are key for a successful hunt. For the last several days here at The Proving Grounds, we have been out with our Nikon binoculars glassing the forest canopy for acorns. While deer consume both white and red oak acorns, white oak acorns have a lower tannin content than red oak acorns, making them much more palatable to deer. This usually results in deer targeting white oak acorns during the earlier parts of the hunting season. Deer prefer acorns over just about anything else when they start hitting the ground. 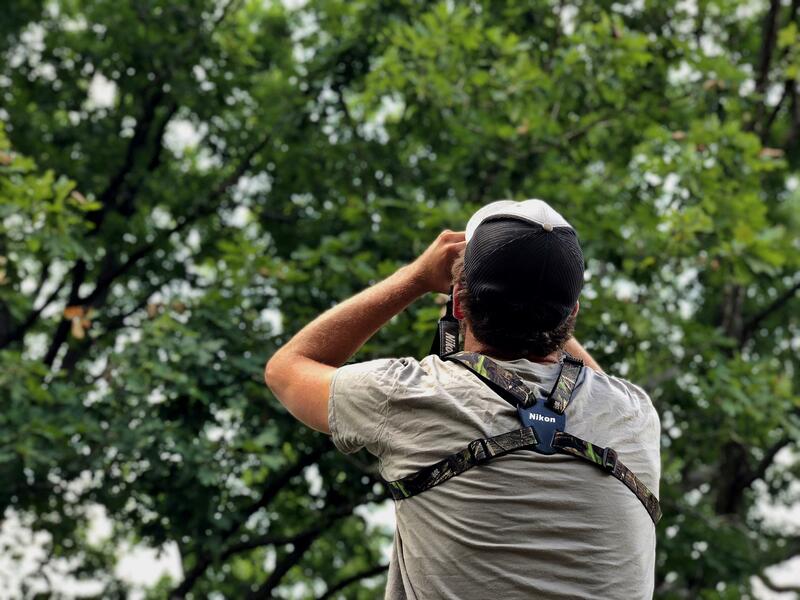 For this reason, you can count on us being in a Summit Stand close to a white oak when acorns start falling. Finding acorn hot spots is only half of the battle. Another critical part of the process is tree stand placement. Many areas of the country experience a shift in prevailing wind direction when colder weather hits. As you scout stand locations near productive white oaks, keep that early season wind direction in mind. You may have to move your stand once the acorn crop has fallen and cold weather rolls in so that deer are not downwind of you. White oaks are a super-attractant for deer. They can be an invaluable resource for success in early season, but only if you put in the time now to scout and make sure that you can enter, hunt, and exit without alerting deer. As deer enthusiasts and managers, we put a lot of work and time into ensuring that our deer herd is healthy. This is never an easy job, but it becomes even more difficult when nature just isn’t cooperating. We’ve been in a wicked drought here at The Proving Grounds. We typically receive 14 inches of rain between May and July but have only gotten 7 inches during that same period this year. Plants require water for growth and deer require water for basic internal processes. Drought has a way of compounding problems. Deer can usually acquire their water needs from forage, but during dry conditions, water from forage is often insufficient. Increased distance to water means increased energy expenditures. The more energy that a deer uses to find resources, the more it must obtain to meet basic biological needs. Drought stunted and heavily browsed food plots add another source of stress. Under these less than ideal conditions, bucks cannot express their antler or body potential. Adult does not only have to supply their own energy needs but must also produce energy-rich milk for their fawn(s). Fawns that are born and raised during drought conditions will be at a deficit the following year compared to fawns raised in a nutrient-rich environment. Remember, deer allocate resources to maintenance (survival) processes like digestion and metabolism first, and then to production processes such as body mass and antler size. 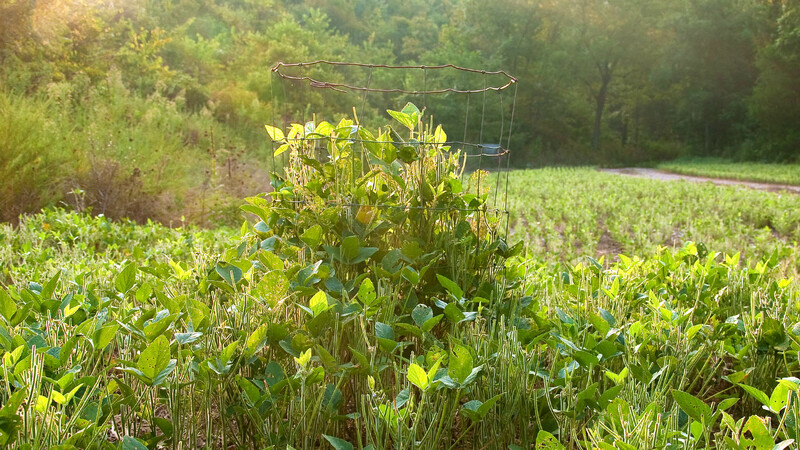 Short of irrigating food plots, there’s only so much that managers can do to provide herds the resources they need. Drought proof water sources are excellent habitat features. It’s been so dry here at The Proving Grounds that we’ve resorted to filling kiddie pools with water across the property. Manage your property with the bad years in mind. Develop permanent watering holes and areas of drought-resistant native vegetation. They will be the icing on the cake during good years and the life-preserver during bad years. Grant has often reminded us that we should strive to keep deer populations in check so they thrive during tough conditions. The drought conditions here are exacerbated by having more deer than the habitat’s current carrying capacity. Stay tuned as we head into hunting season and see how our management actions pay off! The Proving Grounds has extremely rocky and very poor quality soils with limited nutrients and soil moisture holding capacity. From the very first, I knew that no-till was the best method for planting in these soils. 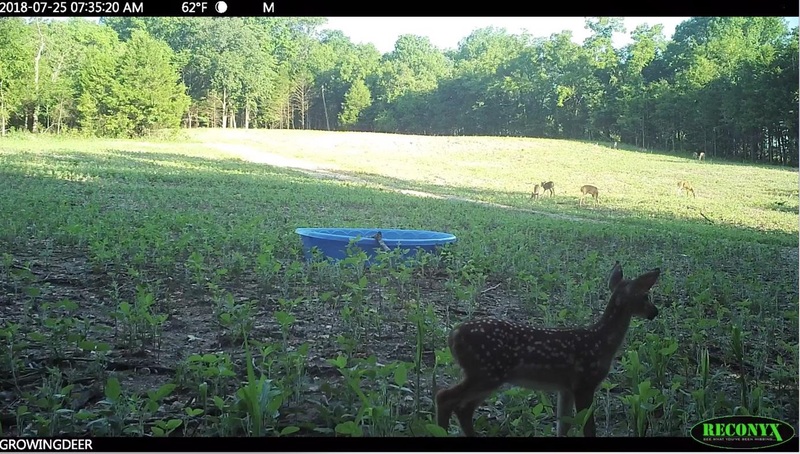 Here on GrowingDeer we’ve shown the changes and development of our food plot program over the years. 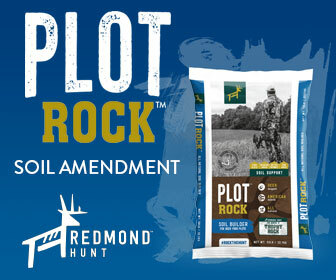 Better soil is the result of the methods used to build and maintain the food plots. The program has evolved into what I call the “Buffalo System” because it mimics how the great prairies were built. I’m very confident the Buffalo Food Plot System will improve soil health and produce quality forage anywhere. The Buffalo System has saved me a bunch of money and time. However, just like the results of a diet or fitness program, the results won’t occur overnight. Add soil nutrients as recommended by a soil test analysis. Terminate any existing weeds with an herbicide (glyphosate). 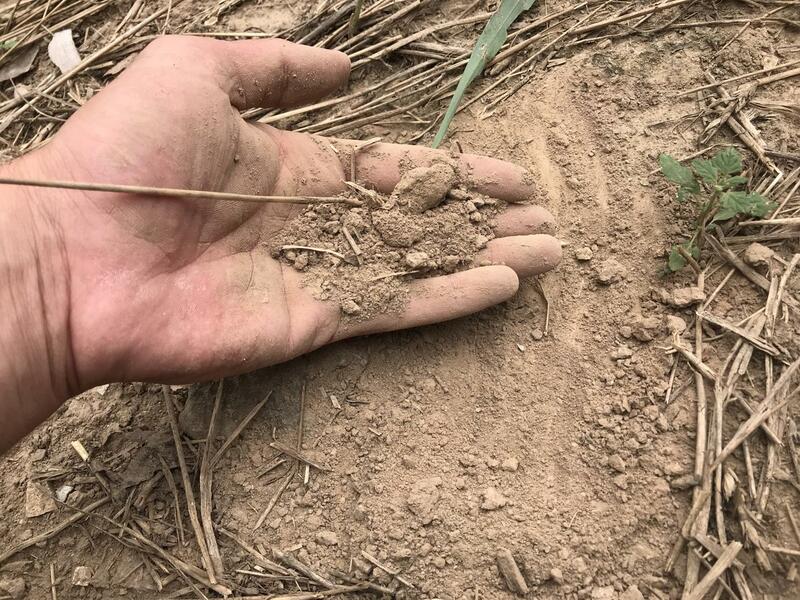 Drill the fall Buffalo Blend from Eagle Seed 45 – 60 days before the first expected frost and when there’s adequate soil moisture or a forecast of rain (80% or more). Monitor the crop growth with a utilization cage. Terminate the fall crop after the beans are 2 – 4″ tall by using the Goliath crimper or herbicide (depending on presence of weeds). Why do I use this system? It’s because I want the biomass of terminated cover crops for weed control and slow release fertilizer. Earthworms and many other beneficial critters will convert the terminated crop to high quality fertilizer. These soil building critters prosper on year old or older biomass – not the green or fresh biomass that’s just been crimped. Therefore the more years the soil is covered with terminated forage without tillage (or fire) the faster the soil will improve due to significantly increased populations of earthworms and 1,000s of other beneficial critters. Unless deer consume all the forage, it’s easy to build organic matter causing the plots to hold soil moisture and nutrients much better! Depending on the size of the plot and number of deer using it I plant Eagle Seed’s forage soybeans or their warm season Buffalo Blend during the spring. This rotation has worked extremely well at my place to attract deer and improve the soil quality. During the fall I plant Eagle Seeds Broadside or Fall Buffalo Blend as both are relatively drought resistant and grow in a wide variety of soils. The Buffalo System isn’t a formula that can be used once and instant results occur. It is a scientifically sound system of forage management that will result in improving the soil’s moisture holding capacity and capturing nutrients from the air and soil. In addition, it attracts and benefits deer and other critters! This is an easy win – win. It absolutely has been a game changer here at The Proving Grounds. Remember, big antlers start in the dirt. *I use a Genesis no-till drill and Goliath Crimper to implement the Buffalo System. These tools have allowed me to save a huge amount of time and expense of lime, fertilizer and herbicide. Nathan Drake attends Abraham Baldwin Agricultural College, Stafford School of Business in Tifton, Georgia. He expects to graduate in May 2019 with a degree in business. His Christian faith and love for the outdoors is the driving factor behind his internship with GrowingDeer. Nathan is studying business but loves to hunt. He killed his first deer when he was 15 years old. Nathan primarily bow hunts now. He shared that one of his favorite hunts occurred this past year when he shot a doe at 45 yards. The shot placement was great plus he had the satisfaction of the hunt occurring on a property he has helped manage. Nathan is interested in possible careers in organic farming and hydroponics. Luke Resop attends Virginia Tech in Blacksburg, VA. He will graduate December 2019 with a degree in wildlife conservation. He has undertaken habitat restoration and improvement for the wildlife populations on the properties he hunts. Those improvements have increased the antler size and doe weights significantly. He’s now become very selective in the deer he harvests. He enjoys being in the stand, watching the deer and the challenge of field judging combined with the restraint necessary for bow hunting. His career goal is to be a whitetail biologist with a state agency or in the private sector. Skyler Partain attends College of the Ozarks in Point Lookout, MO. He will graduate May 2019 with a Bachelor of Science in conservation and wildlife management and a minor in ag business. Skyler enjoys deer hunting and sharing the experience with friends and family. His first deer was taken when he was hunting with his grandfather. He remembers that hunt well not only because it was his first deer but also because in those final moments before the shot his grandfather accidentally dropped his coffee thermos from the stand. Instead of running off, the buck that was in front of them “froze” and Skyler was able to make the shot. His career goal is to work either as a private lands biologist with a state/federal agency or something related to habitat management for wildlife. After the long hot days here on the property, you’ll most often find these guys out kayaking and fishing the nearby lakes. 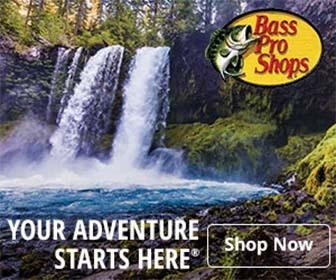 They are living the dream – much like Luke Bryan sings about: “huntin’, fishin’ and lovin’ every day…”. We hope that you find some time to sit “high on a hill looking at a field*” and enjoy some time with the Creator. *This verse of the Luke Bryan song has the field downwind but Grant and the team prefer to have the wind in their face (upwind) to watch the deer in the field while sitting on that hill or in the stand! No matter which way the wind blows, we’re lovin’ the days and lovin’ the Creator! Here at The Proving Grounds we keep our Reconyx trail cameras out year round. We just love seeing critters! 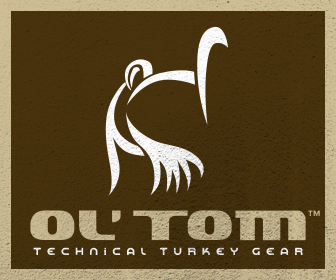 If you don’t keep you trail cameras out during the entire off season – now is the time to get them into the woods. 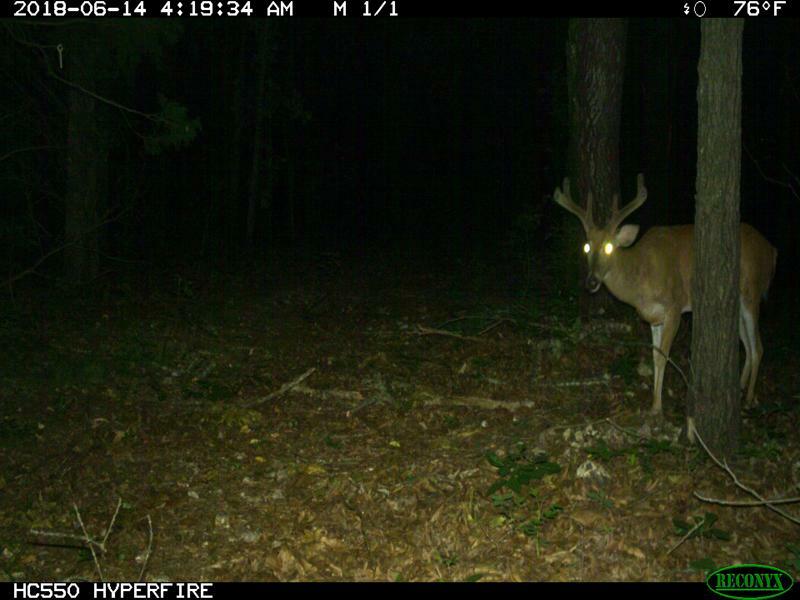 This time of the year is perfect for scouting and capturing developing velvet antlers! 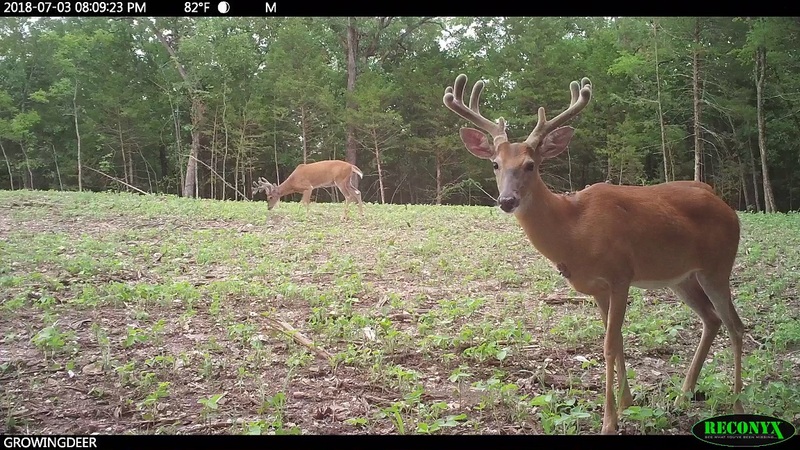 Many bucks have enough growth that they are now able to be identified by unique antler characteristics. Plus, many fawns are on the ground and it is a great way to monitor recruitment numbers. Over mineral sites (in areas where this is legal). On high quality food sources (such as Eagle Seeds Forage soybeans). Make sure to place your trail camera perpendicular to trails so you can get a broadside picture to estimate age. On/in bottlenecks – natural (edge habitat) or manmade. The corners of Hot Zone fences make great bottlenecks for deer to hug the corner/edge of the fence. If in drought conditions, water can be a hot attraction. 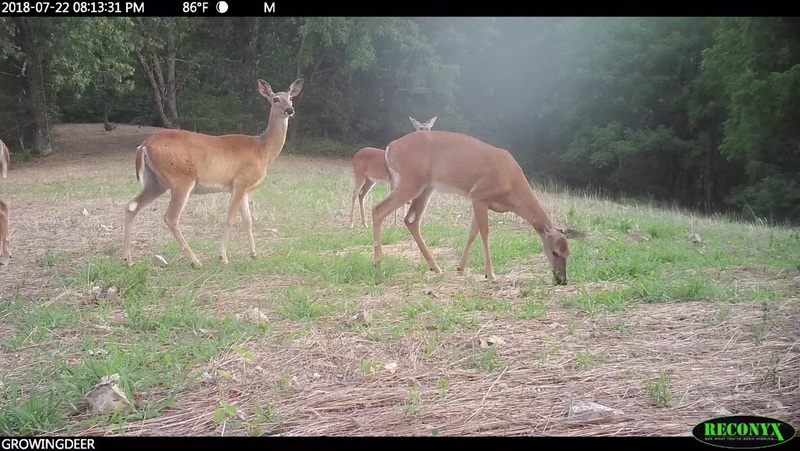 Use scent control practices when checking cameras. 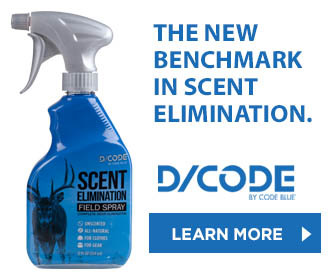 Our team reduces our scent by using D/Code field spray and wearing rubber-bottomed LaCrosse boots. Realize that the activity captured now may not reflect fall activity. Food sources will change during hunting season. Bucks will likely shift within their home range after summer. It won’t be long before we begin developing this season’s hit list. As always, we’ll be sharing the Reconyx pictures as the velvet antlers start to harden. 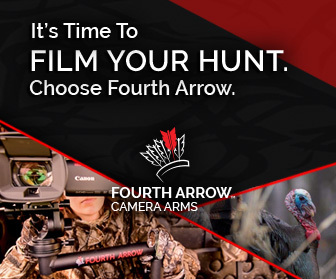 As you get trail camera pictures, we hope that you will share them with us on social media: Facebook, Instagram, or Twitter. 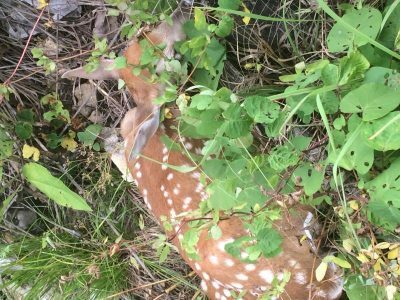 Recently, while cutting cedars in a bedding area, Skyler Partain, one of our summer interns, found a fawn nestled in the native vegetation. Not only was it a neat encounter for Skyler, but it was a reminder of the benefits of improving habitat. The area where Skyler and the rest of the crew were cutting was a bedding area that was once covered in cedars. 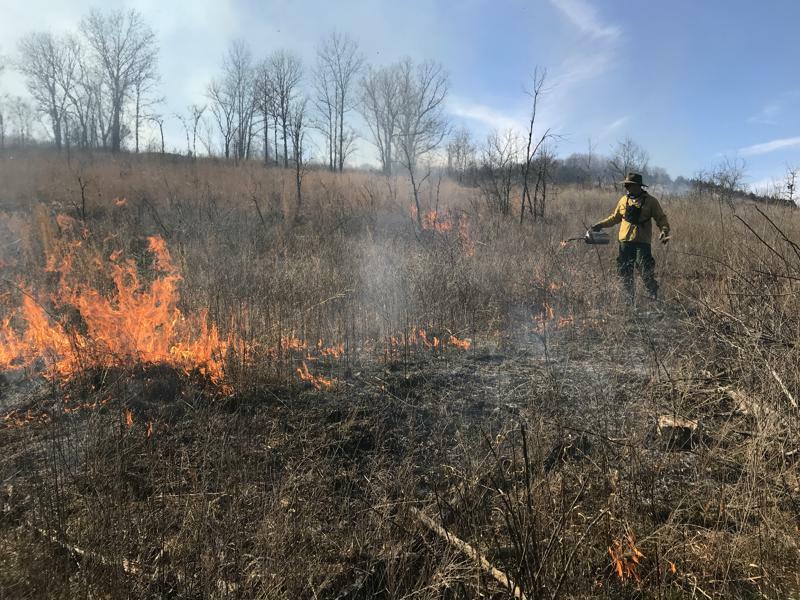 Many years ago, we felled the cedars, waited several years until the cedars were dry, and used prescribed fire to stimulate native grasses and forbs. With the cedar canopy removed, native grasses and forbs began to grow. Seeds of these native species were in the soil and their populations exploded once released! The diverse native grasses and forbs now provide high-quality forage for deer of all ages and ideal fawning habitat. Fawns are now effectively able to hide from hungry predators, such as coyotes. Before, the “best” cover was cedar and mature hardwoods. Much of the ground was bare under the cedar canopy which made it an easy place for predators to find fawns and poults. A little chainsaw work resulted in substantially improved cover for deer, both adults and fawns. We continue to maintain these native vegetation areas with prescribed fire and occasionally use chainsaws to remove encroaching cedars. The benefits speak for themselves. We now see lots of fawns and enjoy many encounters with deer throughout the entire year! 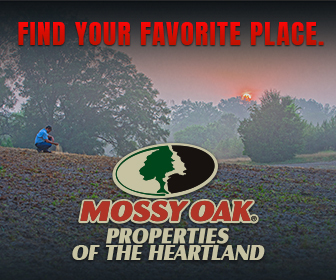 I hope you are able to get out this summer and improve the habitat where you hunt. You’ll be glad you did!